Why find the best cheap drones with camera? They’re a good place to start learning how to fly a quad copter before you commit to a more advanced and expensive model. 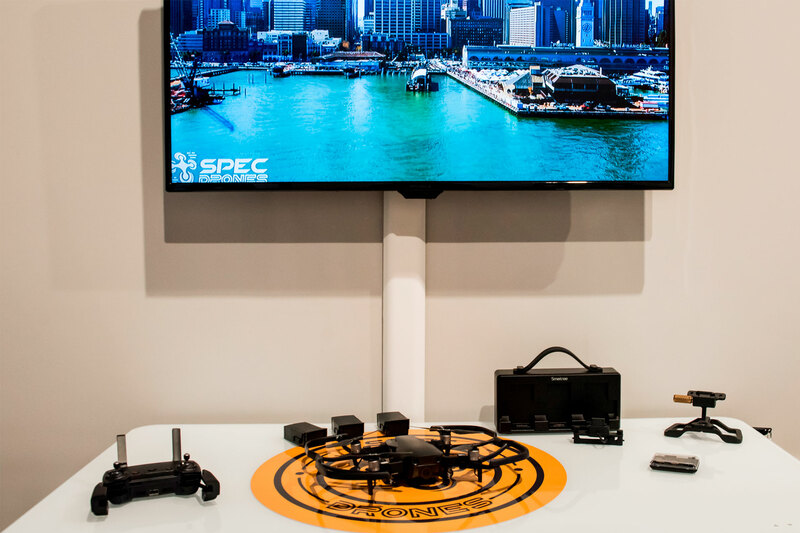 Can you believe that the experience of flying a drone was once an exclusive for certain industry professionals? Well, it was either you were in the professional drone service or you were rich and could afford to spend thousands of dollars. The good news is that there are plenty of cheap drones with camera today even those coming from top brands such as DJI for instance. Of course customers will have different budgets and you will have to decide which model fits yours. Investing in a cheaper drone also means you won’t have to worry about crashing one. It’s easier to walk away from a couple of hundred dollars than $2,000 worth of equipment. Other than that, since the drones that we review here have spare parts that are readily available. The parts aren’t expensive too. If you make a mistake and get something damaged, you can easily get replacement parts to fix your quad copter. You can say that this is one of the best cheap drones with camera that can be used for 4k videography. Just like the other two models presented here in this review, this one is highly portable. It comes in a compact folding design. The appendages at the corners and the propellers fold into place for easy storage. It has a 4 km range, which is already impressive. It is also outfitted with a 3-axis mechanical gimbal, which results in smooth video coverage. Back in the day you have to hop on a helicopter to get the same angles and quality footage as the Mavic Air. It can shoot 4k videos at 60 frames per second, which is truly impressive. Think of it as your handy mini helicopter that can fit into your backpack. The big downside of the Mavic Air is its short flight time due to the size of its battery. The listed flight time on the packaging/instructions is up to 21 minutes. However, after a few test flights and tricks in the air, we have found that the actual flight time is around 18 minutes (give or take a few). Apart from the battery life and flight time, there are no other huge issues with this quad copter. Now, there is a remedy for the flight time issue for this and the other DJI quad copter models. You can opt for the Fly More Bundle so you can get extra batteries for your drone. Another interesting option for cheap drones with camera is the Spark. The gesture controls alone already make this quad copter pretty interesting. Of course, if you don’t want to use your body movements then you can use the smartphone app for the DJI Spark. If you don’t want to use your phone to control this drone then you can buy a controller, which is sold separately. You can also launch the DJI Spark from your hand, which is pretty neat. That’s how small the Spark is. The QuickShot feature allows you to take a quick selfie while this drone is in the air. Oh yes, you don’t need your smartphone to take selfies with this drone. It only weighs 300 grams with the battery size at only 1,480 mAh. The camera resolution is at 12 MP. There is one important downside though. The Spark suffers from the same issue as the Mavic Air—short flight times. It can fly 21 minutes—give or take a few—on one charge. Again, it is recommended that you get extra batteries if you want to purchase the DJI Spark. Apart from that, you also should watch the weather since this one seems to have issues flying on windy days. Some people describe the DJI Tello as the ultimate introductory priced quad copter for beginners. It’s not as cheap as the dirt cheap models out there. It costs as much as a desktop computer. If you are an absolute beginner or if you want to teach your kids to properly fly a drone with no worries, then this maybe a very good option for you. You can do all sorts of aerial maneuvers with it. If you are a professional drone service provider and you need to add an affordable and compact unit to your fleet, then the Tello gives you that along with a host of useful features. You can also fly this quad copter via first person view (FPV), which can be an interesting experience for your kids. You can hook it up to a VR headset and get that flight simulator experience. Now, here’s a little surprise: this small compact quad copter can fly even on a windy day. The lightweight body plus the propeller guards allow the Tello to fly even if there is a bit of rain shower outside. Of course, since it is compact and small, you can also opt to fly it indoors. Although it wouldn’t be recommended—you don’t want to risk breaking any vases, fine china, or glass, do you? Well, there are actually. The flight time for this little quad copter is only 13 minutes—which is a bit disappointing. Its range is only 100 meters, but who would want to fly a small drone further away, right? If you’re budget conscious, an absolute beginner, or maybe you just want to teach your kids how to fly a drone then the Tello is a great option. If you want more versatility and more features then it’s either the Spark or the Mavic Air. These are our recommendations for the best cheap drones with camera.